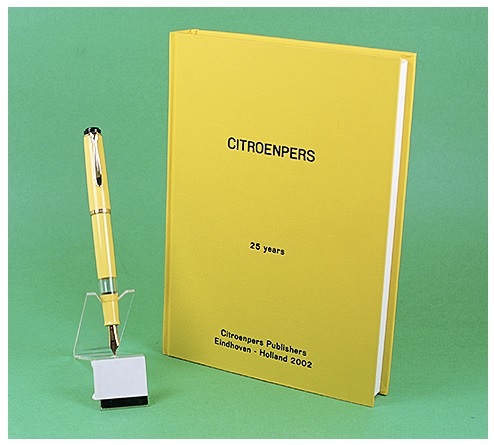 This 2002 Pelikan M200 Limited Edition piston-filler in Mandarin Yellow also goes by the Citroenpers, as they were produced by special order from Citroenpers Publishers in Holland, as a gift to the first 1200 buyers of their 25th Anniversary Limited Edition Art Book – pen comes with the Art Book! New-old-stock, mint with inner box. It’s been about five years since I’ve had one of these to offer! Item #87 in Catalog #78. No longer available, but you can subscribe to future catalogs to be among the first to see the newest set of vintage pens available! 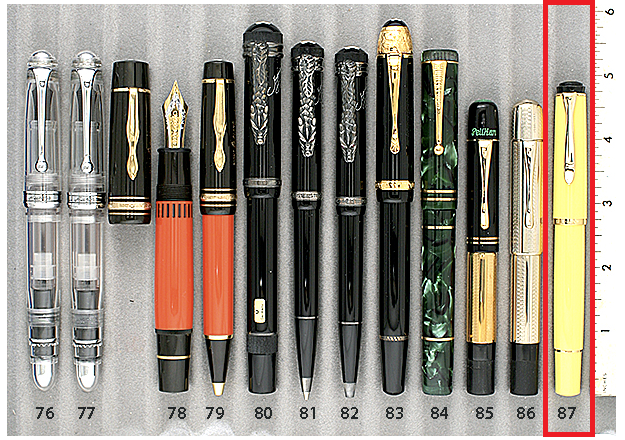 Follow us on Facebook and share the vintage pen love! This entry was posted in Modern Pens and tagged Catalog, Catalogs, Exclusive Pens, Limited Editions, Pelikan, Special Editions. Bookmark the permalink. Follow any comments here with the RSS feed for this post. Post a comment or leave a trackback: Trackback URL.